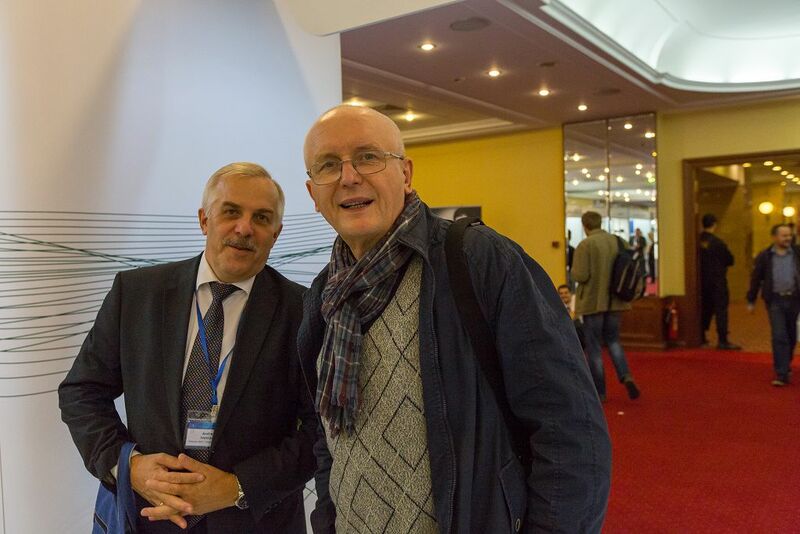 Under this slogan the Ninth International Conference and Exhibition COINS-2018 was held in Radisson Slavyanskaya Hotel from 2 till 3 of November 2018 in Moscow. COINS is the only conference in Russia dedicated to commemorative and investment coins, in which representatives of the Bank of Russia, specialists from Goznak, heads of national and commercial banks, largest world mints, coin distributing companies, auction houses and numismatic companies traditionally take part. On the first day of COINS-2018 more than 300 delegates from dozens of countries discussed issues relating to the current state and evolution of the market of commemorative, investment and circulation coins, design, marketing and advertising of coins, innovations in coin production. Chief Economist of the Coins Production Organization Division of the Commemorative Coins Division of the Cash Circulation Department Yulia Pospelova introduced delegates to various aspects of the current commemorative and investment coins market in Russia. An outstanding russian medalist, the сhief artist-designer of the Design Center of Goznak, academician Alexander Baklanov told about the problems of the future artists-medalists preparation. What are the modern types of fake coins made of precious metals? Which methods of their detection are practiced by experts? Vladimir Dmitriev, the head of the precious metals department of Cash Circulation management center of Sberbank, answered these questions. An analyst of Otkritie Financial Corporation Bank , Oksana Lukicheva and the head of the coins operations department of this bank Arina Samokhina, outlined the contours of the new global financial system and the role of gold in it. Andrey Brynza, an artist of the 1st category of the Design Center of Goznak, talked about using of modern technologies for ensuring the creation of artistic expressiveness of coins. Rolf Mueller-Syring, Mint Director, Geiger Edelmetalle GmbH (Germany), showed the delegates which technological, practical and economic problems can be faced in the production of giant coins by the example of his company. As usual the report of Svetlana Nekrasova, the chief specialist of the Issue and Cash Operations Directorate of the Head Cash Circulation Department of the National Bank of the Republic of Belarus, was vivid and memorable. 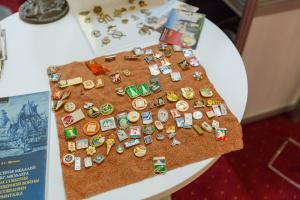 Participants of COINS got an opportunity to see how voluminous objects can be shown on flat coins with artistic means. CEO of the Italian company Power Coin Antonello Galletta, focused on successful experience of using micromosaic technology in the producing of souvenir coins. From report of Andrey Ivantsov, deputy Director of production at the Moscow Mint – branch of Goznak, participants of the conference knew about new solutions in automation of circulation coins production at the Moscow Mint. Dr. Prabir Kumar De, CEO of MintMatrix (Australia), offered delegates to forget for a while about modern coins and present the coins of the nearest future. This year organizers of COINS-2018 conference changed the format of one of the traditional sessions. In the panel discussion “Marketing and advertising of coins” delegates discussed the report of Rafail Abdyushev, head of the Office for Working with Precious Metals of Transstroybank, about the marketing of coin promotion in the Internet. Delegates got acquainted with new tools in marketing and advertising of coin products used by Albo Numismatiko LLC and presented for discussion by Evgeny Anufriev, managing partner of this company. Delegates noted the particular practical aspect of such communication. Numerous questions and disputes were caused by the report “Offline Retargeting: Collecting the Information of the Users’ Actions in the real world” by Vitaly Urbanik, web programmer of the online shop “Gold 10 Market”. It was discussed for a long time during the conference. The theme of circulation coins is one more innovation for COINS. Some of the delegates’ reports were devoted to it. It was also reflected in one of the nominations of the XII International Coins Contest “Coin Constellation-2018”, which was solemnly awarded at the end of the first day of COINS-2018. This year more than 220 coins from 41 participants from 26 countries were submitted to the competition. In the nomination “Coin of the Year”, won the coin «French Excellence» minted by the Paris Mint. This coin, as well as many of the winning coins in other categories could be seen on the booths of COINS exhibitors. Any visitor of COINS-2018 could freely attend numismatic seminars held on the second day of the conference. The participants of the first seminar fully dedicated to the 200th anniversary of Goznak, got acquainted with the history and modern portrait of Goznak, asked questions to the authors of jubilee commemorative coins, which this year were minted at Moscow and St. Petersburg mints. The second seminar was opened by the well-known Russian and international expert numismatist, the Head of the numismatics department of the State Historical Museum, Igor Shiryakov. He told about some “mysteries” of Russian numismatics. From Alexander Kamyshev, who is a director of the Fels Antique and Numismatic Salon (Kyrgyz Republic), the guests of the seminar learned the details of the Case investigation of coins counterfeiting in Chagatai ulus. Aliya Biryukova, commercial director, author of the project “Alphabet of Antiques and Collecting” project of Auction.ru, presented to the audience the report “Online education at the Numismatic sphere”. At COINS-2018, the winner of the All-Russian contest “Young Numismatist” was awarded. The contest was organized by the publishing house “Water Mark” and the publishing house “Albo Numismatiko” and was held from March 1 till August 31, 2018. The sketch recognized as the best from the 347 works submitted to the competition served as the basis for the design of the COINS-2018 commemorative token, minted at the Moscow Mint of Goznak. Dozens of exhibitors took part in the COINS-2018 exhibition. At the central booth the products of the Goznak mints were traditionally presented, part of which was dedicated to the two-century anniversary of the enterprise. Modern commemorative coins made of precious metals, investment coins were exhibited at the booths of the Czech Mint, the National Bank of the Republic of Belarus, the Kazakhstan Mint, Transstroybank, RNKB Bank, the Mint of the DPRK, the Mint of Poland, Yikunze company from China, Philatelic and Numismatic Office from the Vatican, NumisCollect from the Netherlands and many others. 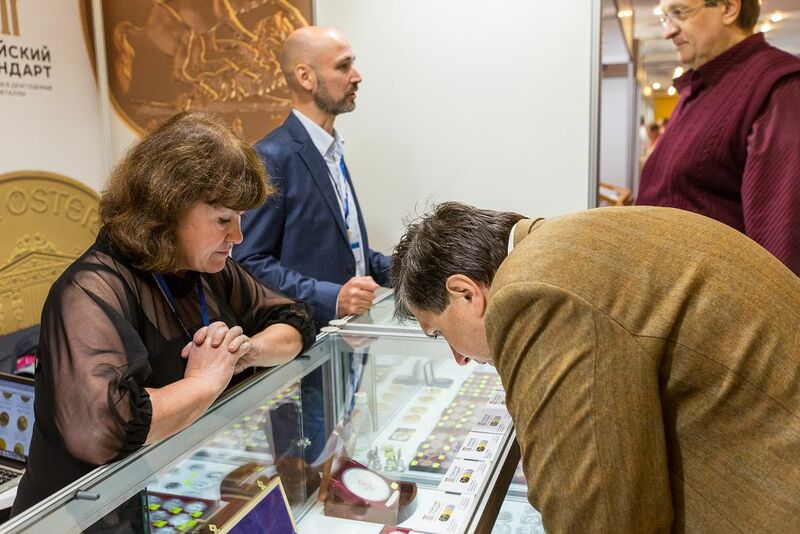 Guests of the exhibition had the opportunity to purchase historical coins at the booth of the HERMES AUCTION company (Russia), to get acquainted with collections of the world famous companies Collectors Universe (USA) and Stacks Bowers Galleries (France). More than 5200 guests visited COINS-2018. They replenished their collections with coins minted by the largest mints of the world, purchased gift and souvenir coins made of precious metals, with the release of which the latest technological advances and design developments were used. Anyone could independently make a memorable token on the historic stamping press of Goznak. Not only professional numismatists come to COINS exhibition, but also families who have decided to participate in prize-winning lotteries, creative quizzes, master classes and exciting contests for adults and children. This year the winners became owners of coins made of precious and non-precious metals, numismatic sets, rare books, albums for coins and many other prizes. Employees of the Russian Money Museum of Goznak conducted for the visitors of COINS-2018 creative competitions and quizzes on interesting facts and events related to money, memorable master classes and educational lectures. The Alpari Gold company organized raffles of investment coins made of silver, which attracted a large number of participants and were incredibly popular among the guests of the exhibition. Gold Sponsor of the Ninth International Conference and Exhibition of Coins COINS-2018 became Goznak, the exhibition programme was sponsored by the Czech Mint, the co-organizer of the cultural programme for visitors of the exhibition – Gokhran of Russia, the partner of the programme for kids is the Russian Money Museum of Goznak. The COINS-2018 conference and exhibition organizer and the organizer of the Coin Constellation International Commemorative Coins Contest is publishing house “Water Mark”, which publishes the specialized magazine «Gold Chervonets». COINS-2018 was supported by the National Bank of the Kyrgyz Republic. COINS-2018 media partners: magazines «Gold Chervonets» (general partner), «Numismatics», «PLUS», CoinsWeekly, Monnaie Magazine, publishing houses Albo Numismatiko and InterCrim-Press, information agency “Banks and Finance”, shopping house «Biblio-Globus», resource Investfunds.ru, Russmint – official store of Goznak, internet auction and trading platform Auction.ru, TC «City of Hobby», exhibition MS Vilnius International Coin Fair 2018. Additional information about the conference and exhibition COINS-2018 can be obtained from Water Mark by e-mail: info@watermark.ru or by phone: +7 (812) 346-50-15 (-16).